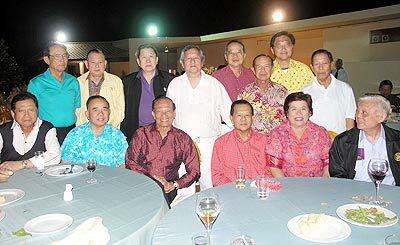 Dr. Wachara Tantranont (centre) hosts a Valentines night and pre-opening party of the Rooftop Restaurant at Grand Hillside 5 in honour of Supreme Commander General Sampao Choosri (seated 3rd from the right). 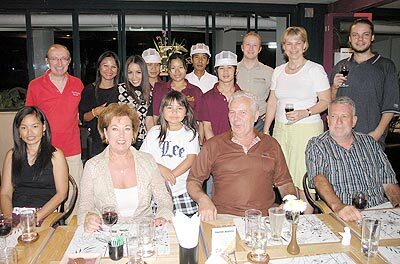 Birthday celebrations for Seksan Dangohat (Eew), the owner of Star Toose Coffee. 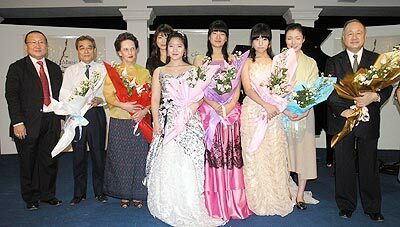 Doll Sensation were popular category winners at the Ballet/Jazz dance competition held at Kad Suan Kaew. 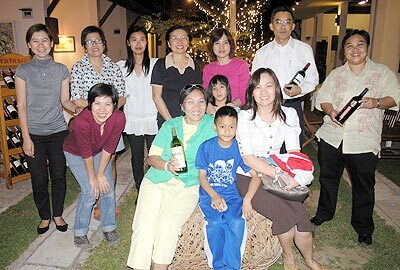 Thirapong Kaewgate (seated centre) celebrates his birthday with friends. 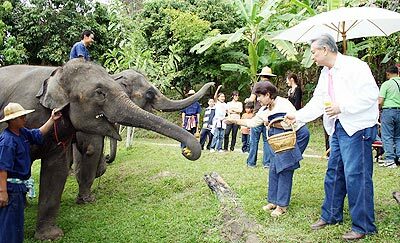 Dr. Suwit Yodmanee, former Minister of Tourism and Sports, and Khunying Songsuda Yodmanee visit the E.L.E (Elephant Life Experience) in Maetaman Valley, Chiang Mai. 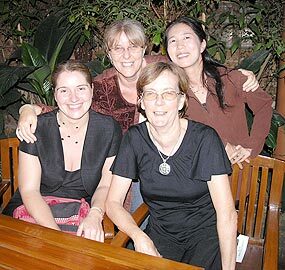 enjoy a girls’ night out at the Garden Bar. enjoy one of the performances at the Chiang Mai Music Festival. 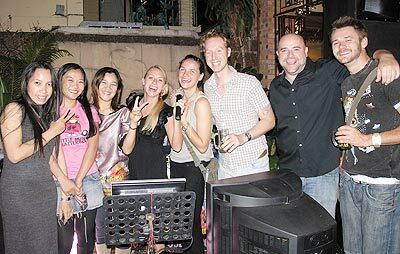 The Karaoke machine was a popular attraction at Tuskers 2nd Anniversary Party. 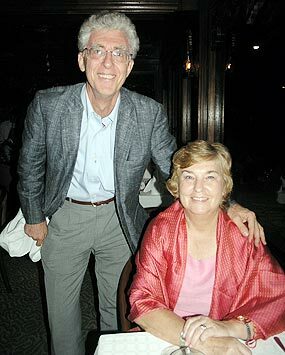 Anthony and Pauline Bottrill celebrate Valentines night at La Gritta Restaurant. Galae Thong Bistro’s Oyster Buffet proved a popular choice for Valentine’s Day. 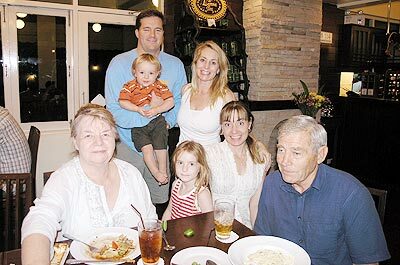 The Ferry family took their relations from Texas to the Pasta Cafe on Valentines night. 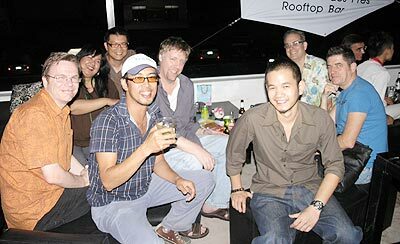 Naipope Sugunnasil from the St. Germain des Pres Rooftop Bar welcomes guests on their monthly Rainbow Night. The team from JJ Markets mark the opening of the ‘Garden Wine Bar’ with wine supplied by Italasia. 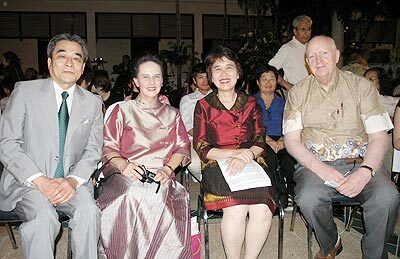 Performers and organisers receive bouquets and admiration at the Ban Wangtan Concert Hall during the recent Chiang Mai Music Festival. Scott Taylor celebrates his birthday at the Soho Bar.